Triangle Services Inc. provides high quality residential and commercial heating and air conditioning sales, services and installations to the upstate of South Carolina and surrounding areas. 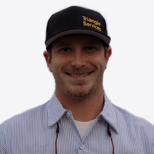 At Triangle Services Inc. we design, engineer, install, service and maintain all HVAC products. We want you to have complete peace of mind when it comes to your home comfort system. 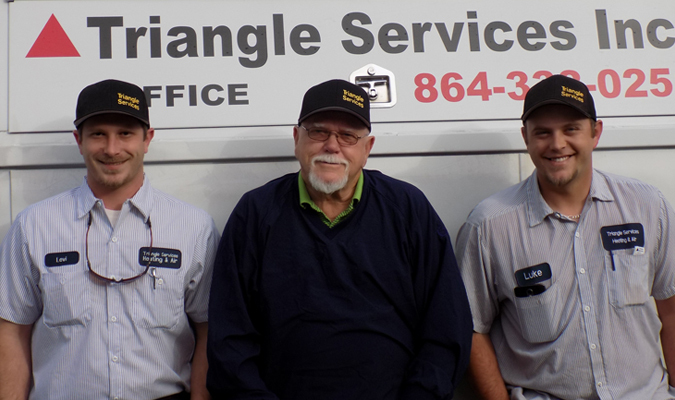 Triangle Services Inc. looks forward to serving you. 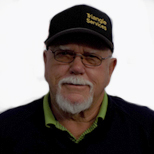 As owner of Triangle Services Inc., I bring over 40 years of experience in residential and commercial HVAC with duct fabrication and design. Triangle Services Inc. does not use all flexible ductwork underneath houses. We also do not use subcontractors to do our installation or service work. We guarantee all of our work. 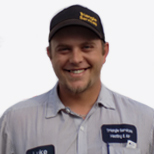 We are family owned and operated so that the customer will know who is coming to their homes and who’s working in their homes by a first name basis. We strive for this to be a key factor in our family operated business. Engineer for the condition air flow system. I started out as my Dad’s helper during summer breaks out of school. As the years went by I progressed to learn the “tools and techniques” of the trade. As I got into high school I was involved in the welding/ metal working program for three years at the Anderson School District 1 and 2 Career and Technology center. When I graduated high school, I went through extensive “in house training” through the company and the HVAC manufacturers in the industry to become the field service supervisor for Triangle Services. Also, I hold the title for the Engineer for the condition air flow systems. Having this title we can guarantee our customers the comfort they want. On my down time I enjoy bass fishing, and night hunting small game, spending time with family and friends, also spreading the word of Christ. My experience with HVAC started 14 years ago after school and during summer breaks. In high school I have taken 3 years of welding at the Anderson School District 1&2Career and Technology Center. This progressed into maintenance and duct layouts. I have and associates degree in HVAC from Greenville Technical College. I have also taken numerous in house training courses through the HVAC manufacturers. After 4 years in service and installing it has lead me into sales management for Triangle Services Inc. I do all sales in our business. I will not just sell a unit to you I sell my knowledge in the business and our company for maintaining your equipment. I will help you decide the best system for your home with duct layouts and modifications necessary to make you comfortable with the cost and efficiency of the equipment I sell you for your home. In my down time my hobbies include bass fishing and big game hunting, enjoy spending time with my daughter, and fellowshipping with family and friends. Please take a moment to tell us how we did.